At Royal Wholesale, we have a wide selection of 100% Kosher candy available to purchase in bulk! 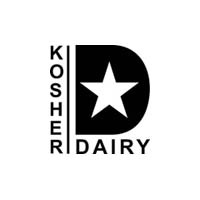 Our bulk Kosher candy and Kosher dairy candy products range from Kosher Ashers chocolate to Koppers chocolate candies. If you’re looking to stock up on Kosher candy for any occasion, we’re the best online wholesale candy outlet to do just that! Shop wholesale Kosher candy online with us today! At Royal Wholesale Candy, we want to provide retailers around the world with the best experience of buying wholesale candy online.